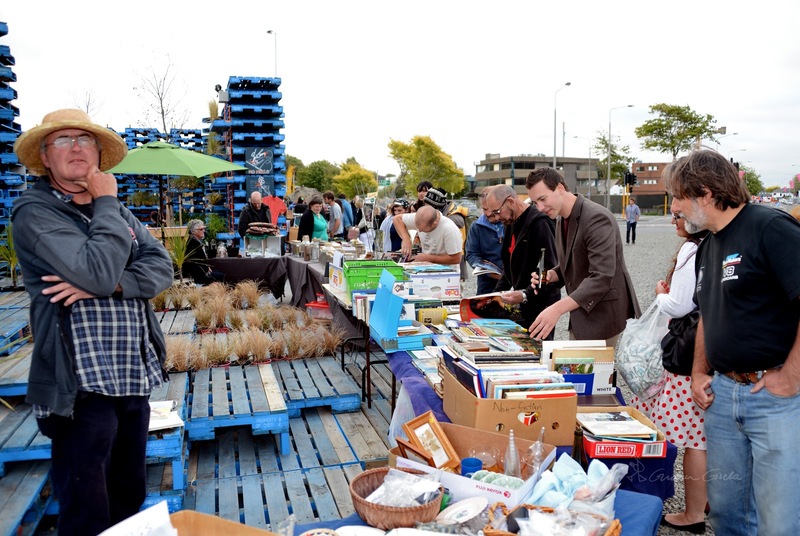 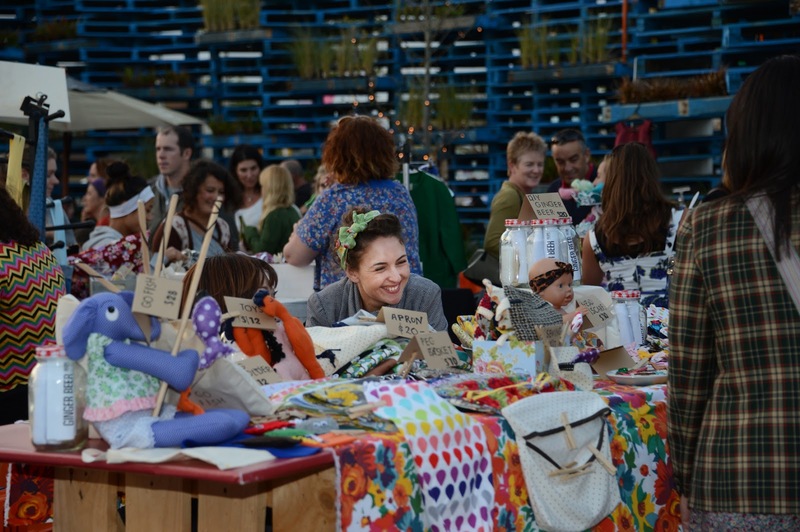 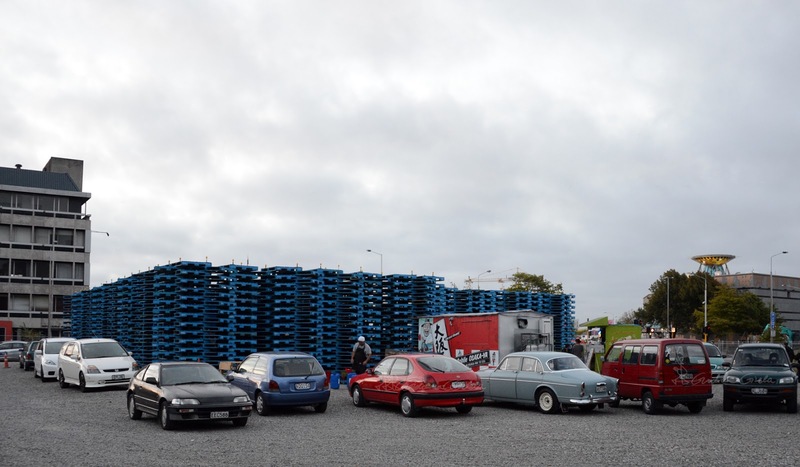 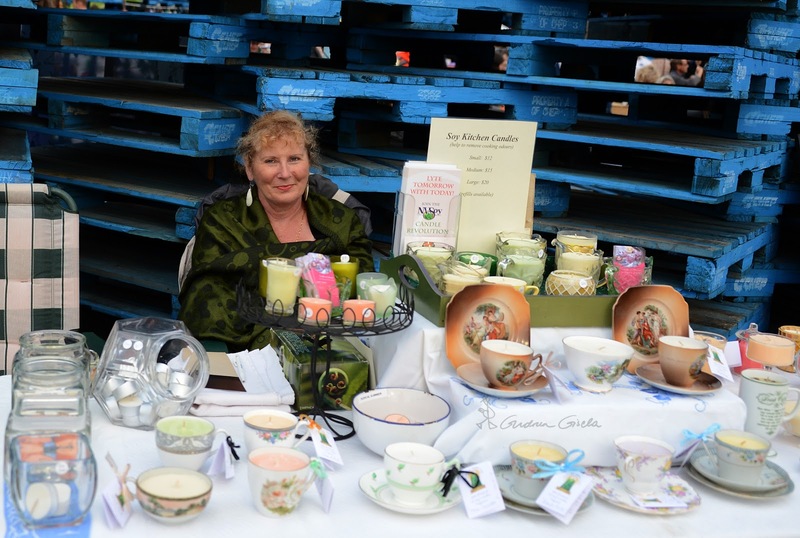 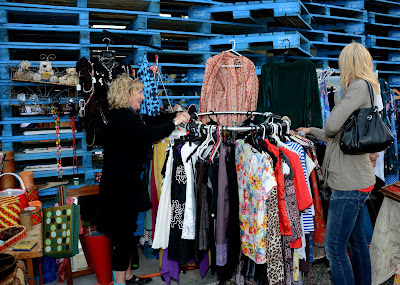 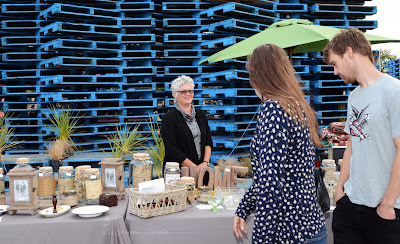 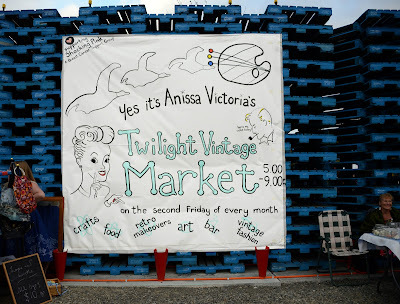 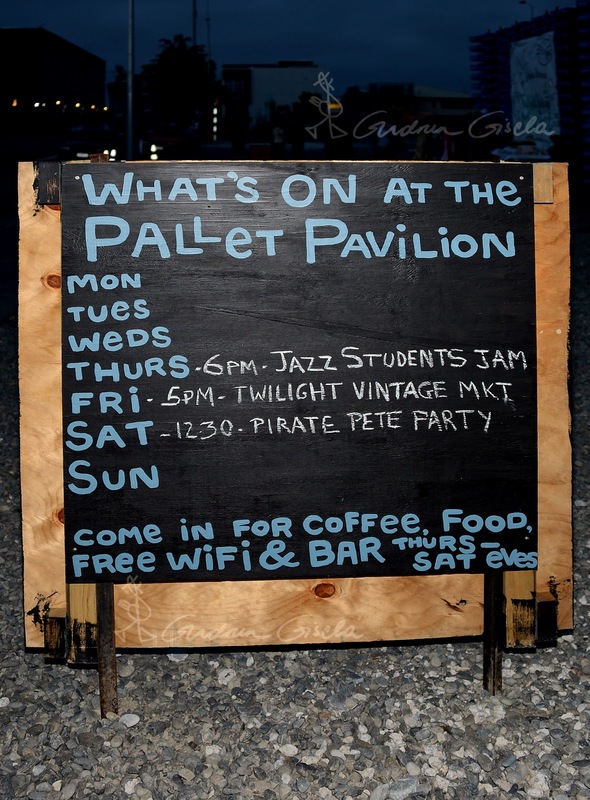 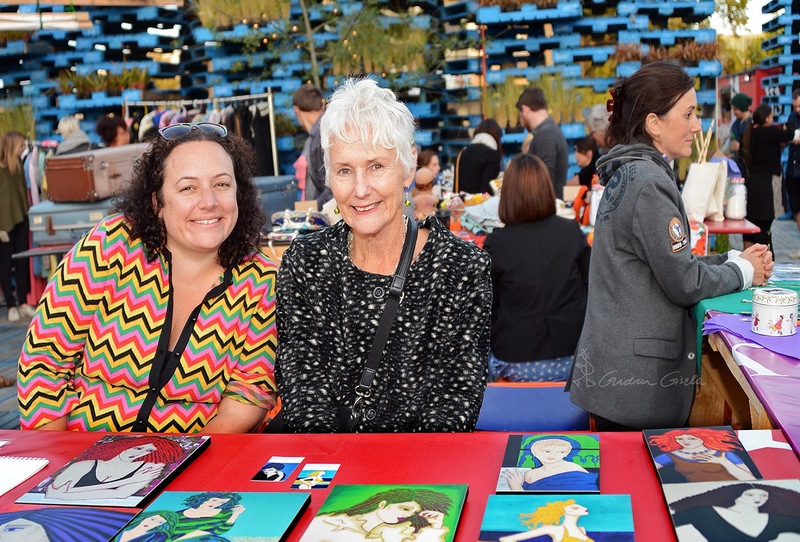 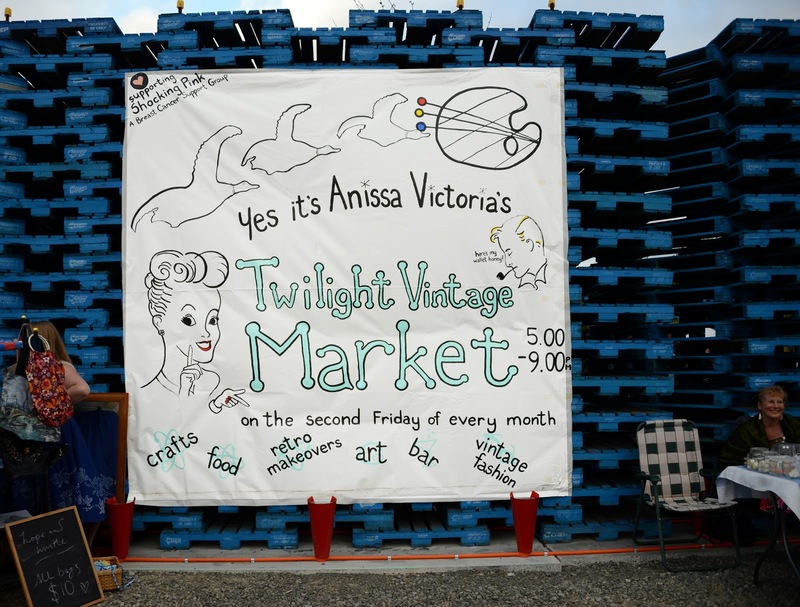 Friday night Twilight Vintage Market at the Pallet Pavilion, Durham Street North And Kilmore Street corner. 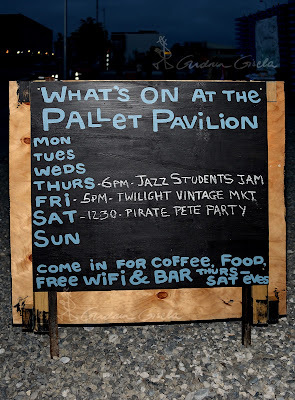 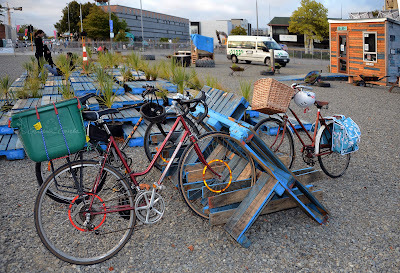 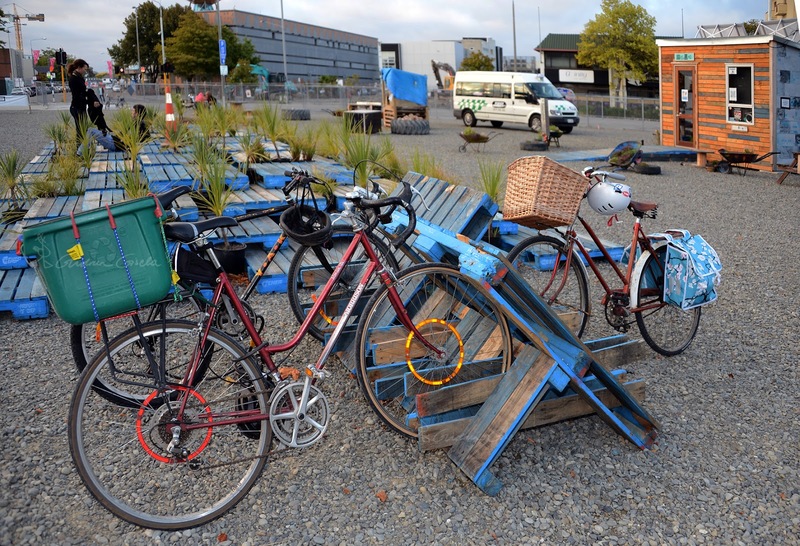 The blue-painted pallets make the pavilion easy to find. 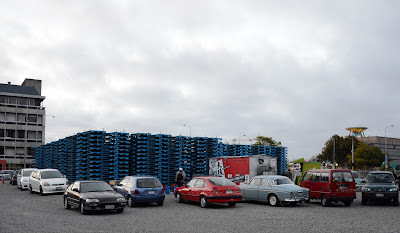 Spot the bonus vintage Simca. Rosie Reckless and Gussi Fenton. 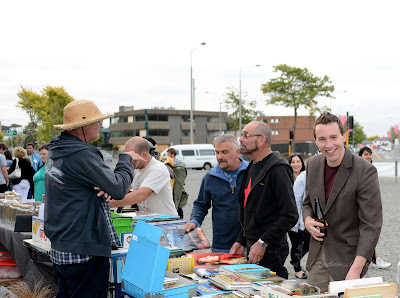 Ian and customers - mostly books. 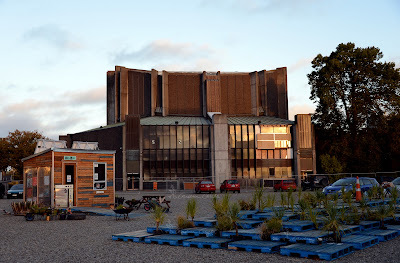 Still there, awaiting its fate - the Town Hall across the road.